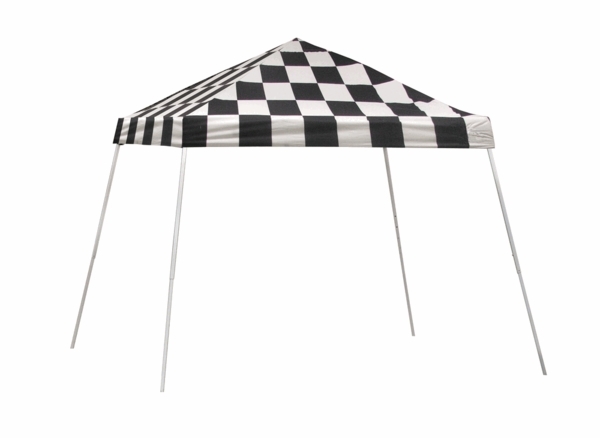 The Shelter Logic 10 x 10 Checkered Flag Pop Up Canopy Tent, part of the Sport Series, can be described in a number of ways. 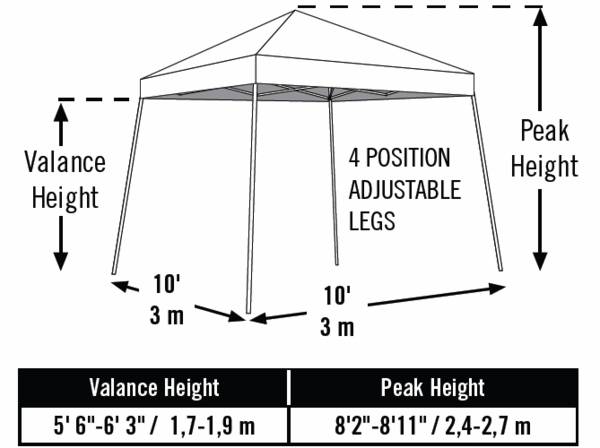 Lightweight, economical, flexible, user-friendly, and protective are just some of the many character traits of this canopy tent. The Checkered Flag Pop Up both weighs and costs less than comparable tents, which only serves to increase its flexibility: if the canopy costs less money, it frees up more funds for other pursuits, and a lighter tent is more easily carried and packed for more frequent uses. The canopy also sets up quickly and simply, and resists everything from UV rays to fading to mold and mildew.